Art is still widely perceived as a male-dominated field, with men snagging most of the plum freelance assignments. A lot of very worthwhile female talent is being unfairly overlooked in the meantime. A site called Women Who Draw wants very much to correct that imbalance. Described as “an open directory of female professional illustrators,” this beautifully designed site was created by and for female artists “in an effort to increase the visibility of female illustrators, female illustrators of color, LBTQ+, and other minority groups of female illustrators.” The idea here is that editors, publishers, and art directors will consult Women Who Draw and hire these skilled artists for upcoming projects. 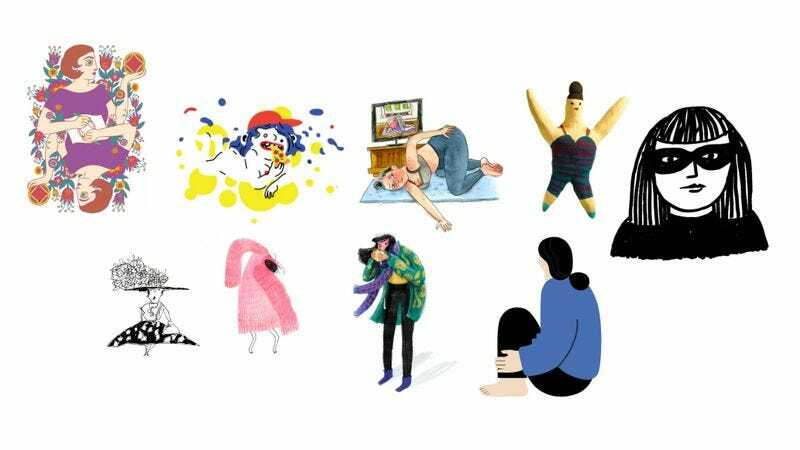 Given the variety of art styles on display here, ranging from very realistic to abstract and cartoonish, it’s clear that editors can find an artist on Women Who Draw for any assignment they dream up, from the practical to the bizarre. The links on the main page lead to the artists’ individual galleries and websites. Each artist is represented by an icon that displays her signature style. Women Who Draw functions as a gateway to a whole universe of fantastic artwork. Even those who don’t have any projects on the horizon should peruse the site, since it contains links to a lot of cool, creative stuff that they might not have encountered otherwise. The site’s commitment to diversity in the art world does not stop with gender. The artists are indexed by religion, ethnicity, location, and sexual orientation as well. Want a specifically Taoist perspective on an upcoming project? Women Who Draw can recommend Mariana Mendoza or Monika Forsberg for that. Christianity, Judaism, Islam, Buddhism, and other faiths are accounted for as well. Need an atheist? As of this writing, Women Who Draw has 71 of them.